Anyone that knows me well understands my love for travel, cocktails and chocolate. 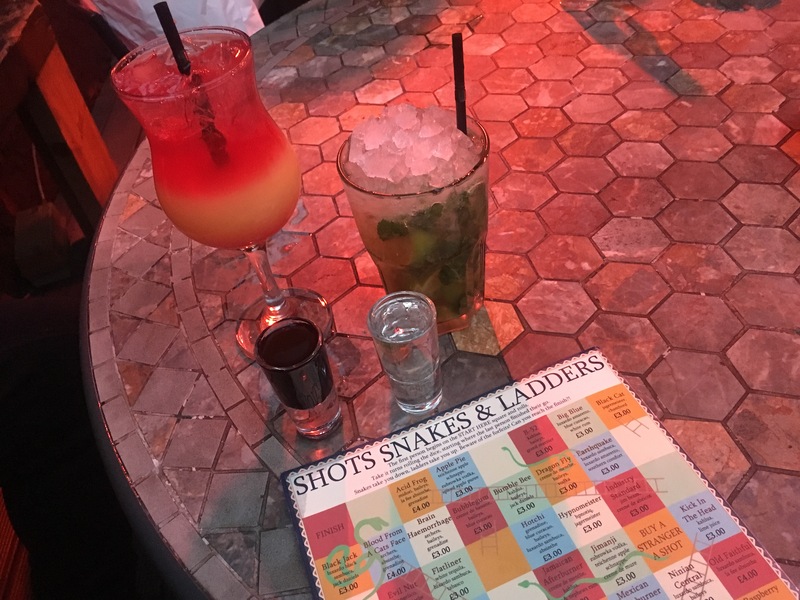 That’s why my first blogging event in York went down a treat. York is such a pretty place, I didn’t realise how popular it actually is. With influences from the Romans, Vikings, Tudors and Victorians, you’ve got a whole snapshot of British history in one city. 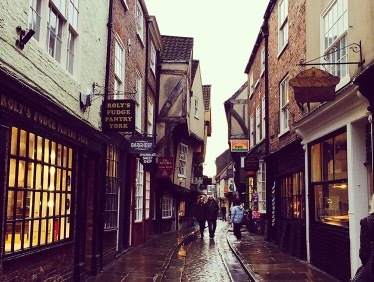 But there’s a lot more to York besides its history – cute cobbled lanes, over 30 museums and attractions, interesting little shops, tea rooms and cosy pubs. All of which help make it one of my favourite UK city break destinations. 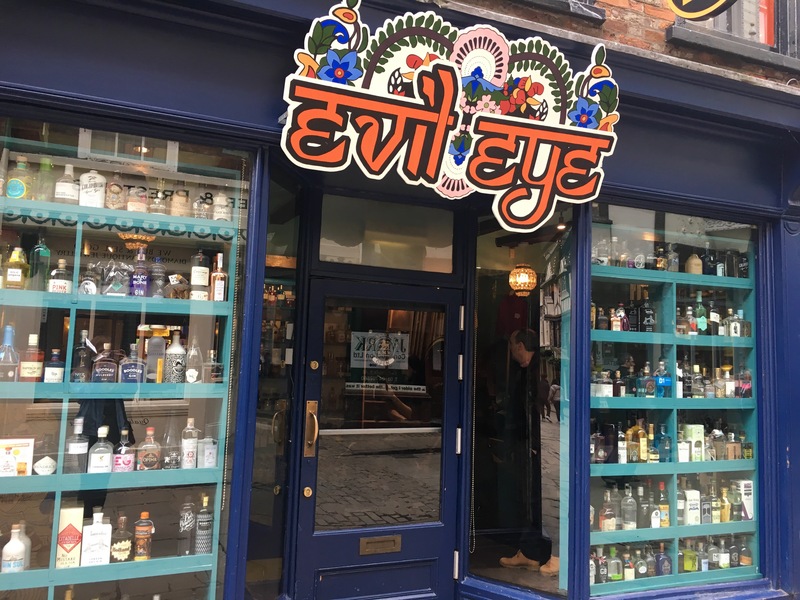 So here’s my guide on how to spend your time in York. 1. 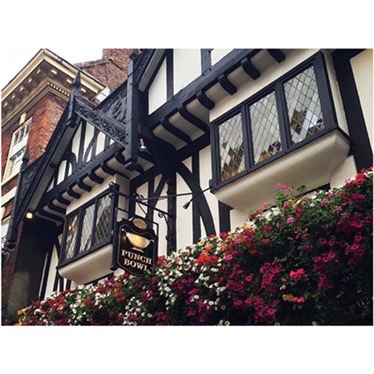 Check into one of the many hotels York has to offer, or like me book through airbnb. 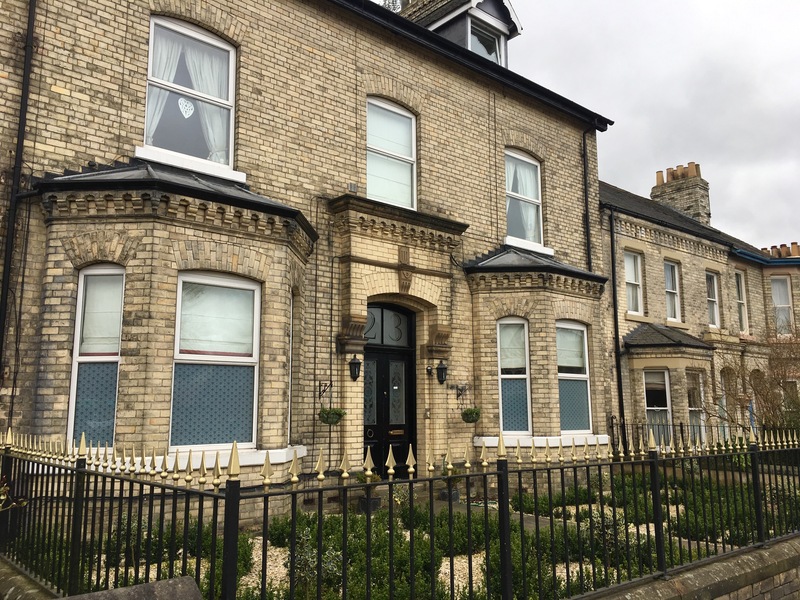 I found the most gorgeous Victorian house which was only a 10 minute walk into the centre. 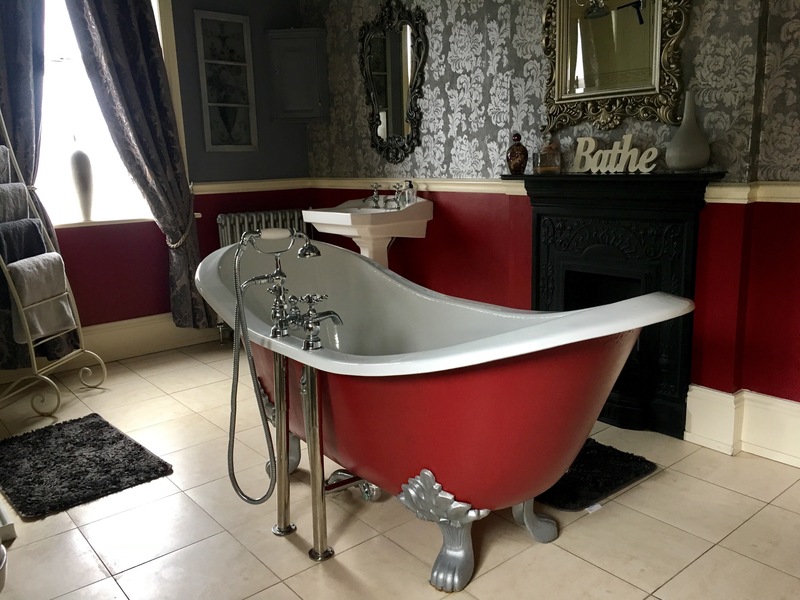 Not only did I have a princess four poster bed to myself, but the bath in this house was amazing (yes I got up early to use it – had to be done). 2. 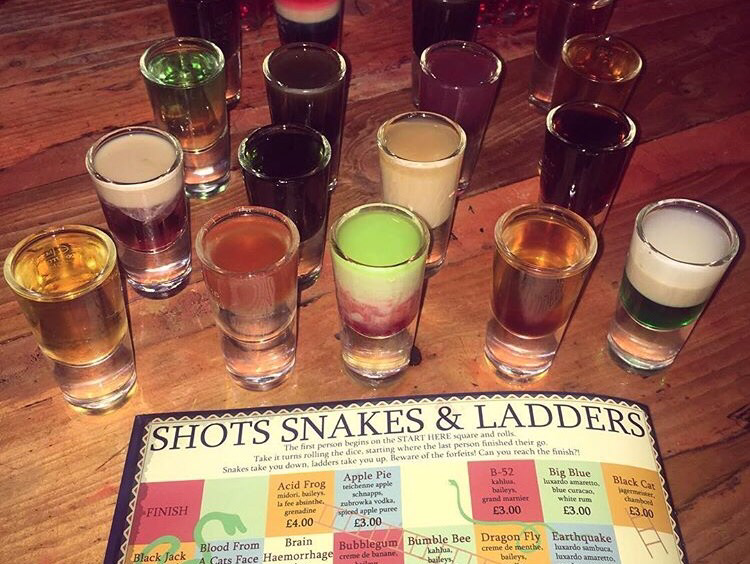 Make your way to the Shambles. 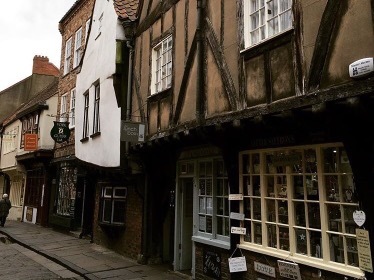 One of Yorks most famous streets which looks like Diagon alley. It has so many little quirky and vintage shops. They host a ghost walking tour in the evening which I imagine would be really interesting however we didn’t have time to do it – food was more important at the time. But there are plenty of information desks and ways you can book onto one. 3. 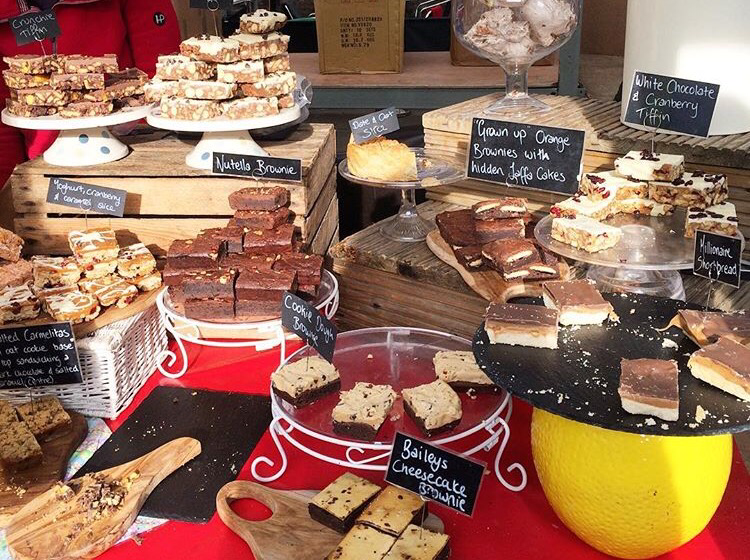 Wander around Shambles Market, where you can pick up local food and other interesting goods. 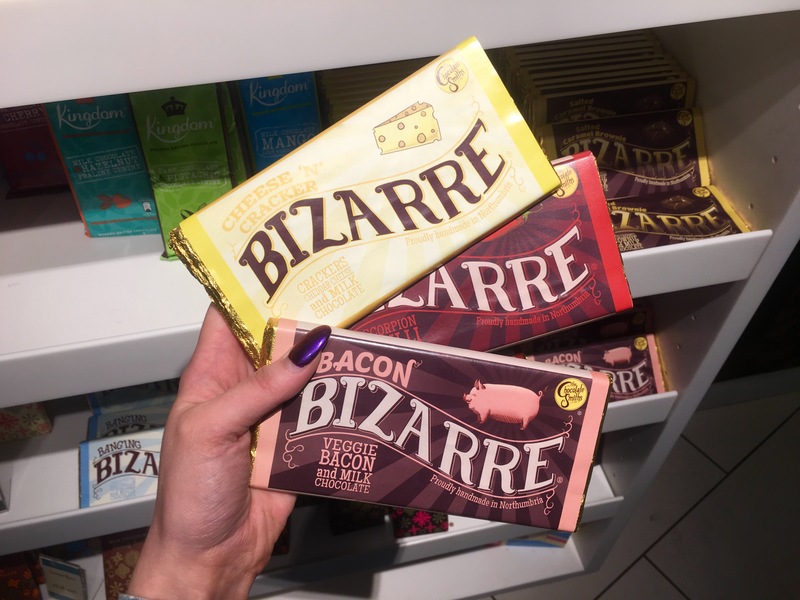 The only stall you reallllly need to know about is the one on the end SELLING ALL OF THE CAKES. You’ll be in your element sniffing every chocolate brownie and tray-bake you can think of. – Putting chocolate in the fridge ruins the taste. This has been scientifically proven. 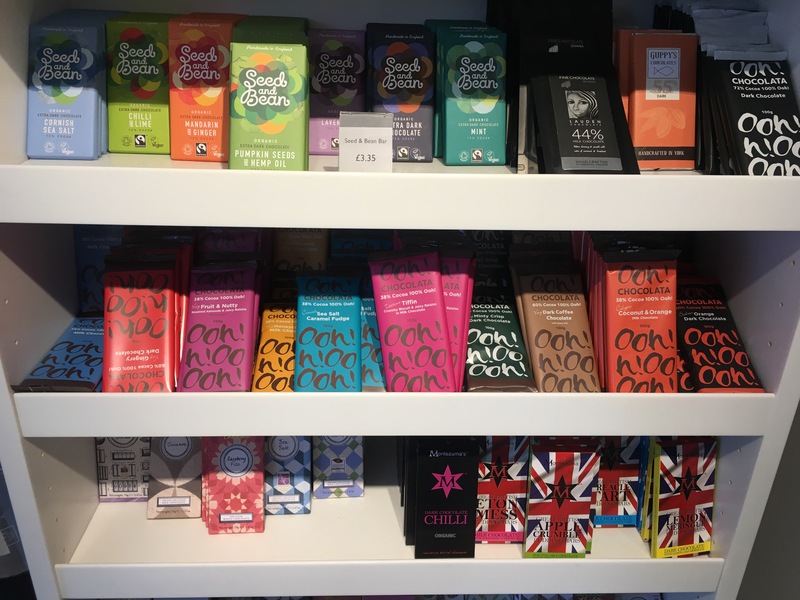 – The Aztecs went to war over chocolate. – The smell of chocolate increases theta brain waves, which triggers relaxation. – Raspberry cream filled chocolates taste so good when they are made right in front of you. 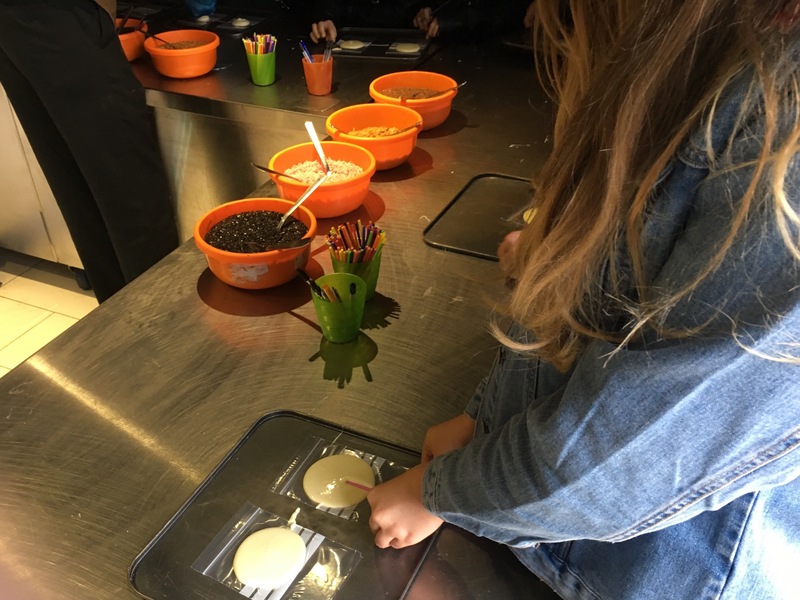 Eat and drink different flavoured chocolates in each room, followed by making your very own treats to take home. It was the perfect afternoon for me. 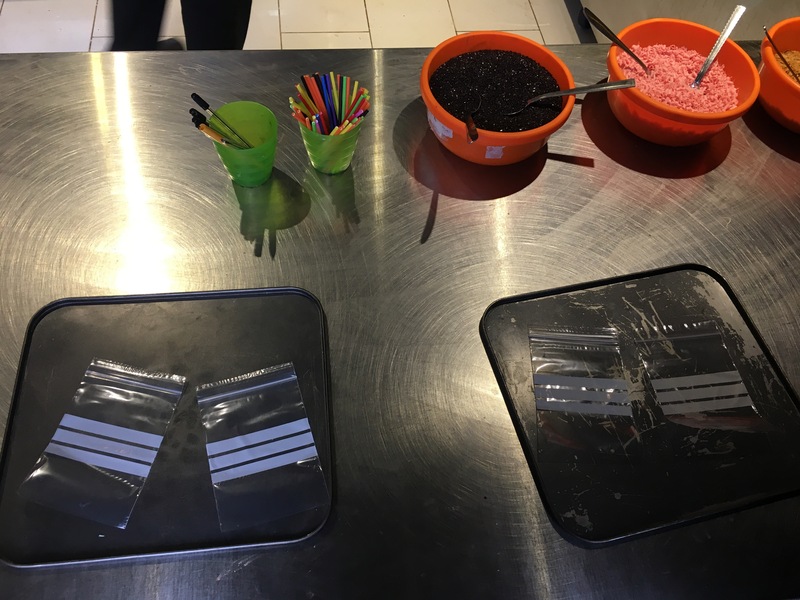 I visited the most amazing cocktail bar. 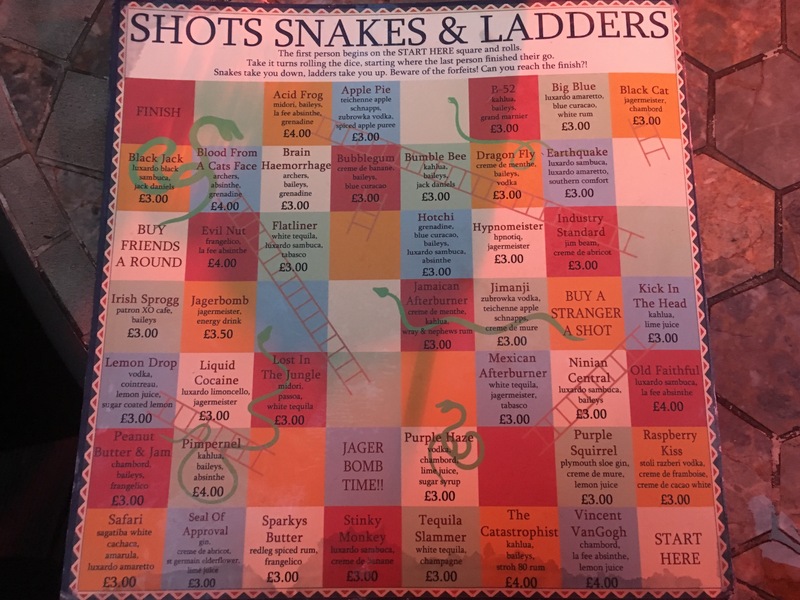 Not only was the menu twice as long as my leg but they offered party games such as shot snakes and ladders. It was so fun! The nightlife in York is unreal. By 5pm there were security on the pub doors, girls dressed up to the nines and huge queues at the bar, which was definitely worth waiting for. Being a peanut butter freak, I had to try their peanut butter and jam cocktail, which was more like a desert, Baileys, Chamboard, chopped bananas and whipped cream. But I didn’t stop there.. this was then followed by a watermelon Mojito. I had to make the most of it. Even though it had its rowdy side of hen and stag groups, there was an outside area that was suitable for the more sophisticated day drinkers, who just fancied a cockail, or two, or three or four. Sat outside in the cute beer garden with heated lights, I could have happily stayed here all night. I have to go back purely to take my best friends. 5. Afternoon tea. I fail at 22 years old when I admit that I prefer going for afternoon tea over a boozy night out. And I feel that if you don’t visit a tea room in York you are seriously missing out. If you don’t visit Betty’s tea rooms then YOU REALLY ARE MISSING OUT. You can tell by just looking at the long queue of people outside the doors that this place is something special. Obviously my tip would be to book before to avoid the disappointment of them having no tables available. 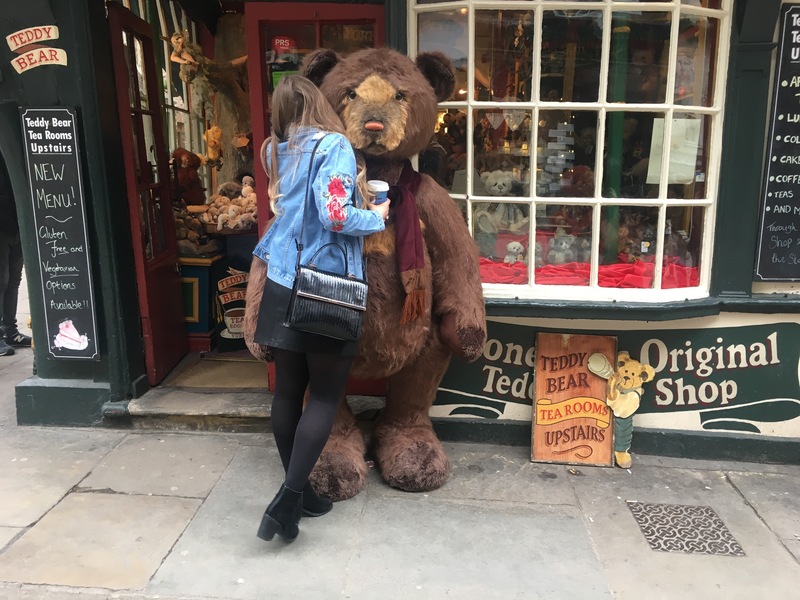 If you prefer to go somewhere a little quieter, we visited a cute little place called the Teddy Bear Tea Rooms for hot chocolate – oops more chocolate. 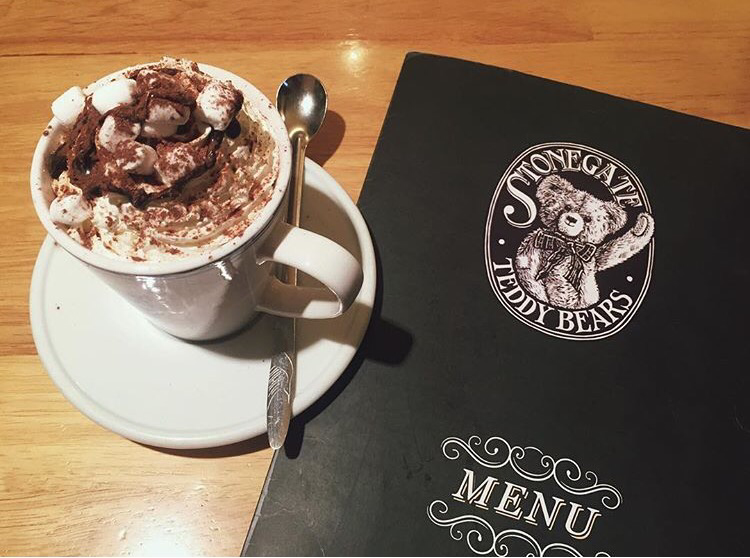 Not only do they offer the most delicious drinks and snacks, but beneath it hosts the cutest teddy bear shop, featuring the Charlie Bear and Steiff collections. 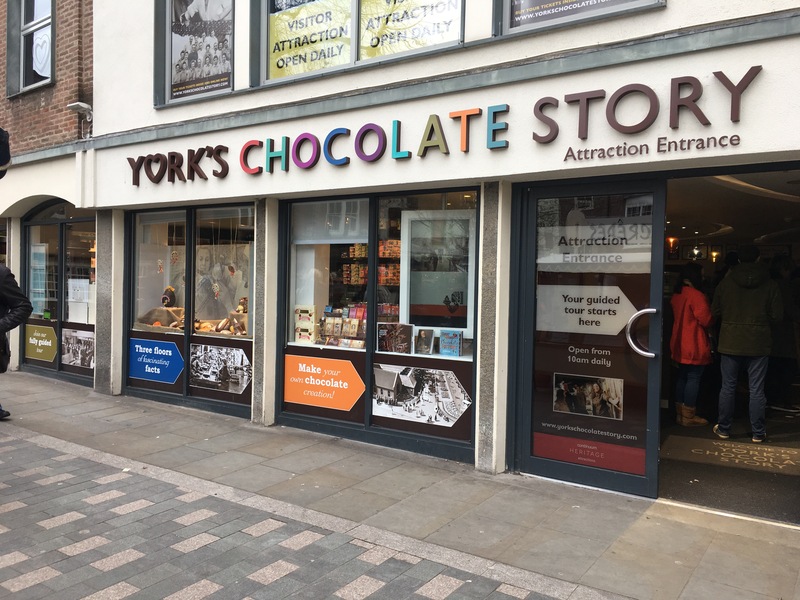 If you want to be more of a tourist then there’s lots to satisfy you in York. Including Clifford’s tower, York castle and York minister. All of which look beautiful. The place is so quirky and versatile with modern parts mixed into the old. I would say it’s suitable for any age. York offers museums such as the Cold War bunker and the Jorvik Viking Centre. There was a Viking festival going on when I visited and I honestly felt like I was in the middle of Game Of Thrones seeing men walking around dressed in their armour! It was hilarious and felt very real. You could even visit the York dungeons if you fancied a fun afternoon. We did this as an ice breaker as all the bloggers had not met before, and it worked well. Beware though, the actors do pick people out of the crowd, so if you don’t feel comfortable with this I would avoid going! It’s all good fun. (I’m probably saying that because I didn’t get picked). The above is only a fraction of what this gorgeous city has to offer. Everything is in walking distance, the atmosphere is relaxing and everyone is so helpful and friendly. There are endless reataurants too. I would recommend anyone to go and will be returning very soon! I’m so thankful for being invited to this event where I met some of the most inspiring people and travel bloggers. I can’t wait to attend more so I can write more reviews and give you tips on how to enjoy other destinations. Because that’s what I do best. < Previous MY HOME SKIN HACKS. Next > 10 WAYS TO BOSS A BROKEN HEART. Wow Sinead what a blog! I so love reading them as I really do immerse myself and imagine I’m experiencing the whole thing! 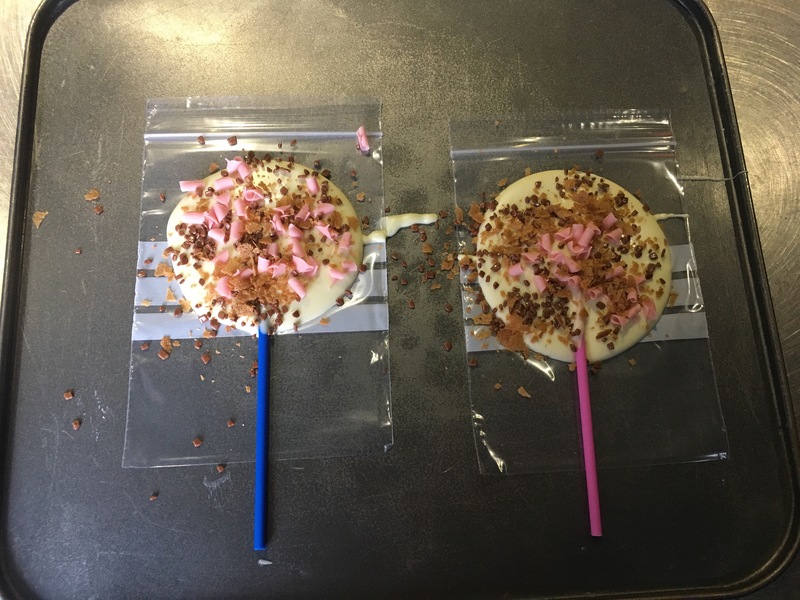 Brilliant love reading your blogs look forward to the next one!! Never really thought about going to York until I read your blog. Now it is DEFINETLEY on my list of places to visit,cant wait to go!! !